Children attend a summer course in a Douma school that offers accelerated learning courses to those who missed out on their education due to the war in Syria. 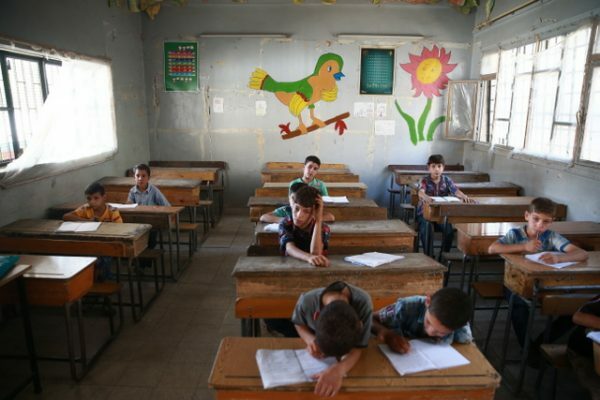 "after the war began, education became even more expensive. No one could afford to pay the fees of the top institutions, although the midlevel institutions were a little more reasonable.